The Midnight Garden quilt features softly shaded stars and intricate-looking but easy-to-make medallions from the border print fabric. The diamond units are constructed from simple strip-sets. 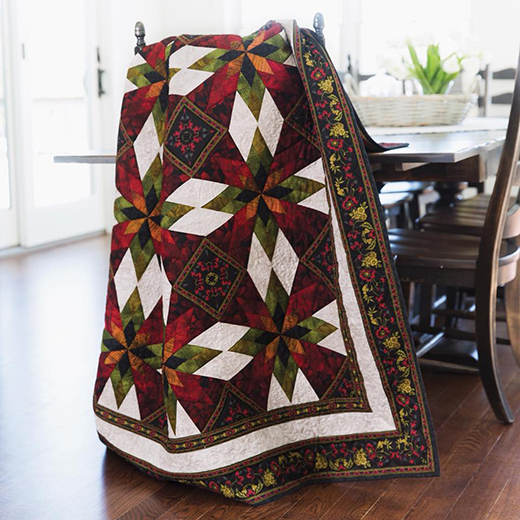 The Midnight Garden Quilt designed by Jinny Beyer, The Pattern is available for free.